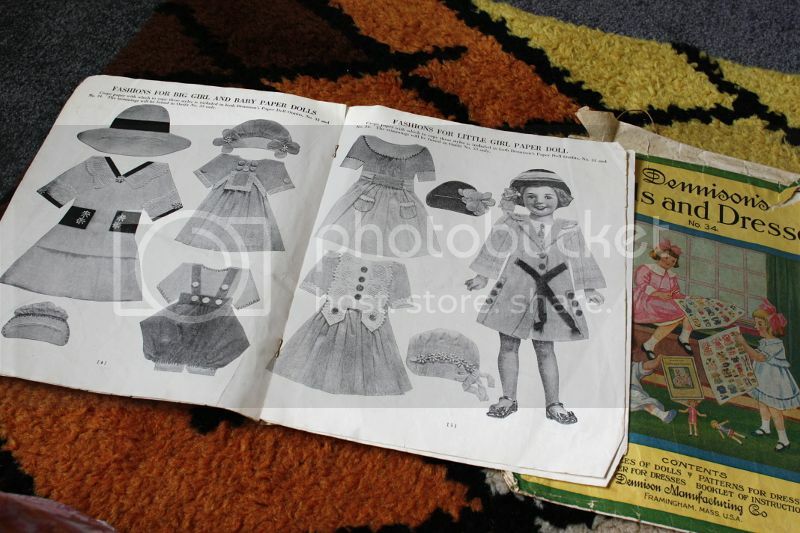 My uncle Ian lived in the same house in Pt Chevalier for almost all of his life, the house that his parent's owned and that he and his two brothers were brought up in. 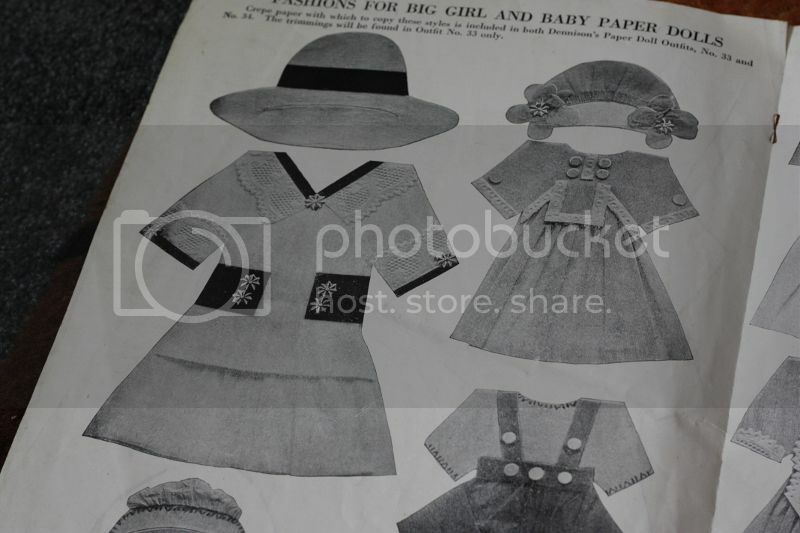 Now we have to clean it out and these were in the back of one of the cupboards. 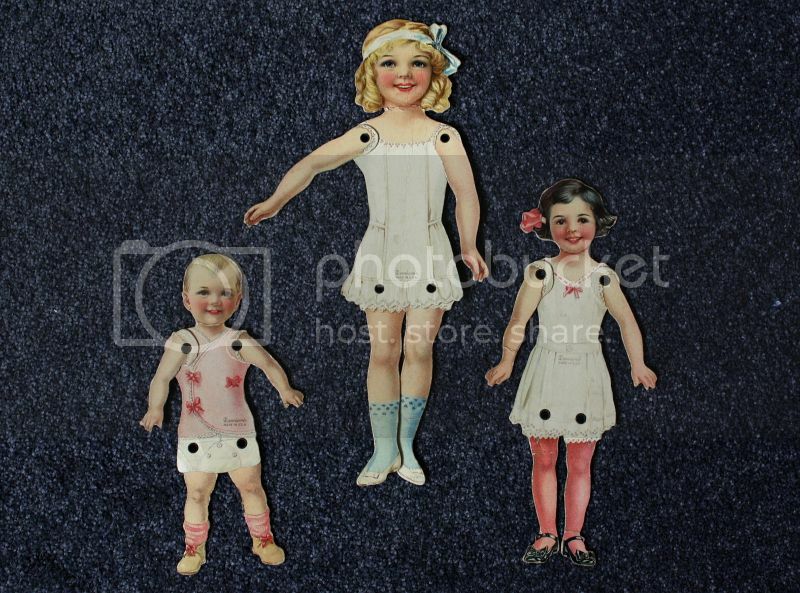 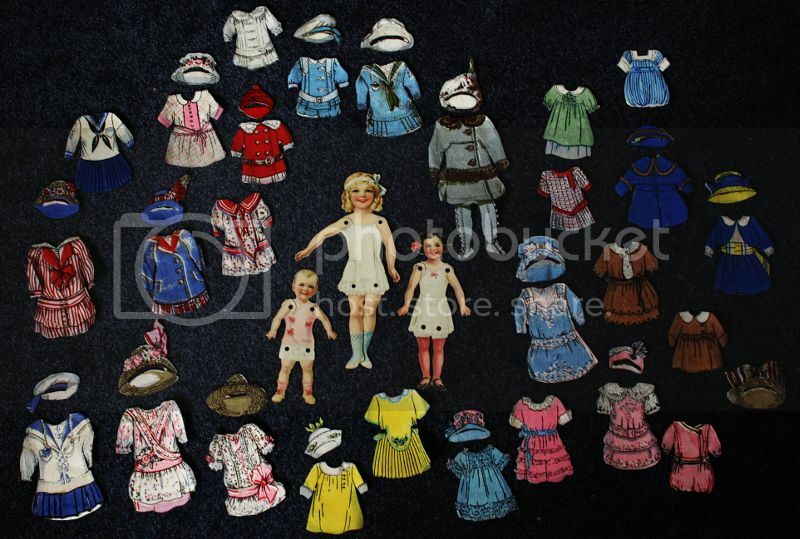 These paper dolls were probably owned by my Grandma, and I guess she would have had them around about the 1920's or so. 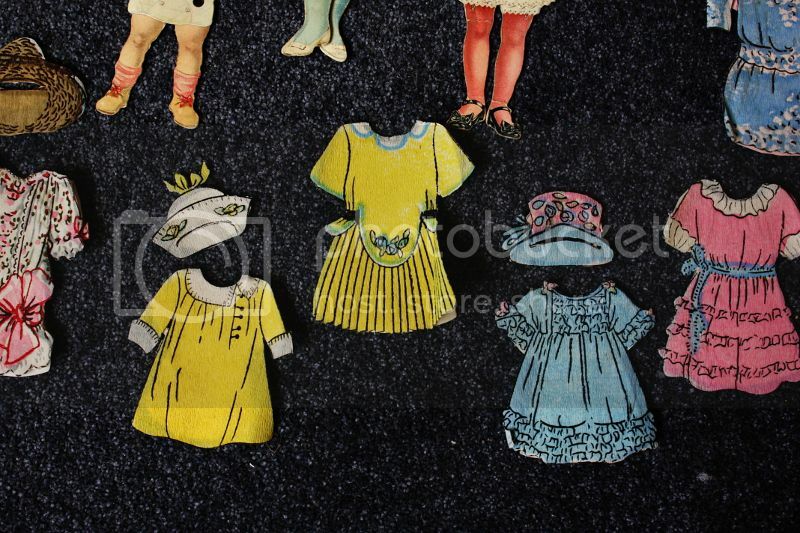 The dolls themselves are heavy cardboard, the dresses, printed crepe paper glued to a heavier paper.